A writer reports pictures of Greta eating a banana, claiming that this proves she has double standards. She wants to reduce gas emissions, and then she eats banana which come from far away. Why does she not eat an apple, which are produced locally in Sweden? Another writer observes that Greta has two beautiful large dogs, but those dogs must be eating meat, and cows are the greatest source of emission of methane (much more damaging than C02) and a cow uses up 15,000 litres of water before reaching the age of slaughter. Then, a third observes that Greta may well skip planes, but by using trains she is clearly using electrical power, which is still basically generated by coal. Then there is another reader protesting strongly because she has bought a sandwich in the train, which comes with a plastic wrap, and she is thus contributing to the damage caused by plastic to the seas. We are clearly in the realm of stupidity, because it is impossible for anybody to do anything in this world without contributing to its degradation. This will only change when the political system corrects our lifestyle (just note how, by the sound of it, this is improbable!) If Greta were to ask her parents to give the two dogs away, were not to move from Stockholm at all, and were to eat only local apples, would this make such a substantive contribution to a better climate? Or is it more constructive to campaign and mobilise hundreds of thousands of people? These are the climate scientists who have written everywhere that they started to fight climate change even before Greta (who is now 16) was born. How is it possible that they have been ignored and now a little girl with no preparation is able to mobilise people all over the world? No self-criticism of the fact that they have not been able to inspire and communicate with students. Besides, Greta did not campaign as an expert. 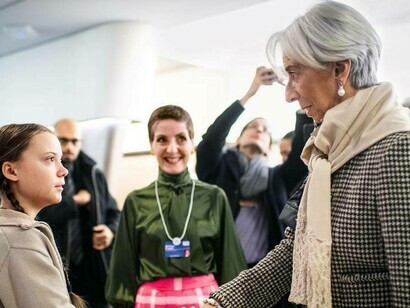 Her message in Davos, in Brussels, everywhere, was: “Please listen to the scientists”. An old Chinese proverb goes: never fight your allies. 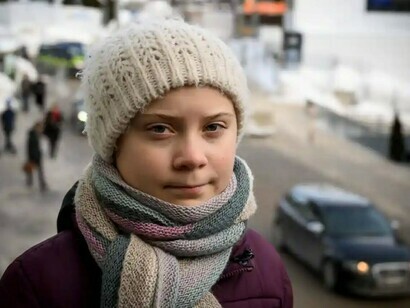 They have been redistributing reports by Swedish journalists everywhere which delve into Greta’s background, discovering that her parents are active ecologists, that her father has always supported her, and that she has been influenced by a famous activist who has been behind her every step. 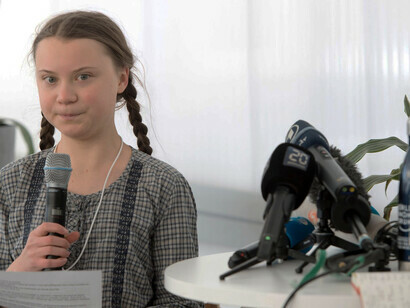 They claim that in order to believe Greta, it would therefore have been necessary for her parents to have been indifferent to climate issues, and that she should have been totally alien to ecological circles. 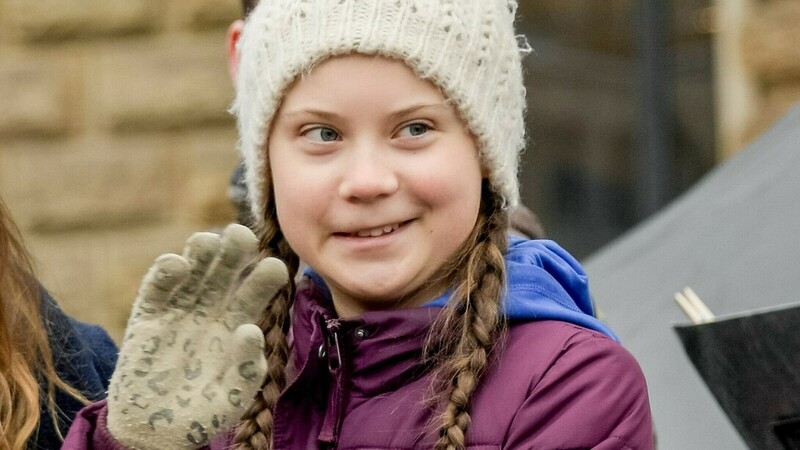 And this campaign continues, even though all Swedish journalist are unanimous in declaring that Greta has not been an instrument of anyone, and that she is only following only her commitments. Also because, by grace of the gods, she has a mental condition called Asperger’s Syndrome, which makes her a very single-minded person, indifferent to recognitions, compliments and compromises. So, in a letter to Le Figaro, one of the purists asks if it is logical to put hundreds of thousands of students from all over the world “under the guide of a zombie”. This category also includes many complaining that Greta is not denouncing the fact that Sweden is making money by selling weapons. 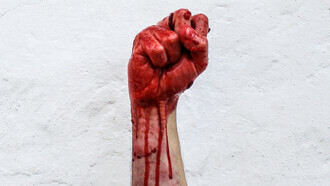 Greta has denounced no one, so those responsible are quite happy. Greta has not started any campaign against finance because she does not understand that only by subduing finance you can change climate. And so on, according to the lenses through which her critics look at her. This is a physiological group comprising those who think that young people have no idea about real life, and nothing serious will come out of the students’ movement, unless they listen to their elders. Their place is in school, not on the streets, they do not have the maturity to understand themes which require a scientific preparation. Exemplary is a letter published in Corriere della Sera, in which somebody observes that young people hardly read books any longer, use smartphones all day long and ignore classical music or theatre – they lack the gravitas necessary for real change. 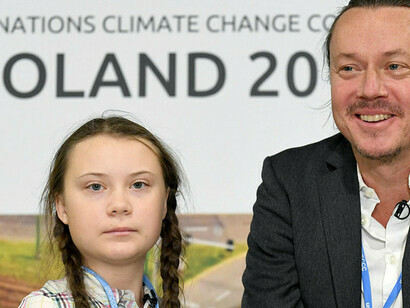 Those various reactions against a young girl who is simply asking to grow up in a sustainable world is clearly representative of how much society has changed in the last decade. We have come a long way. 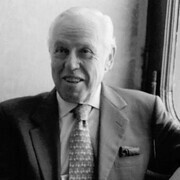 The period after the Second World War was characterised by the need to reconstruct, to make sacrifices, to make Europe an island of peace, to believe that politics were a participatory tool for changing society for the better. Social elevator, the certainty of young people that they would be better off than their parents, was everybody’s belief. Political rallies saw millions of people on the streets, with hopes and commitments. We all know how that world of idealism collapsed. With the destruction of the Berlin Wall, ideologies were the first to go. The keyword was pragmatism. 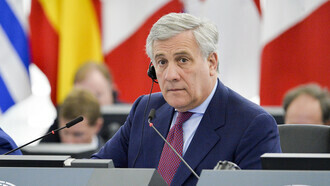 But it was a pragmatism prisoner of the neoliberalism philosophy which was untouchable. As Margaret Thatcher famously said, There Is No Alternative (TINA). Social costs were unproductive, and finance took on a life by itself, no longer linked to the word of production. 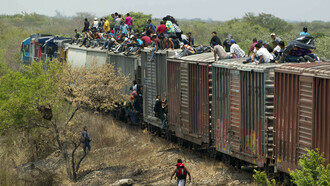 The state was pared down to the minimum. We should remember that Reagan proposed the abolition of the Ministry of Education and full privatisation of healthcare. 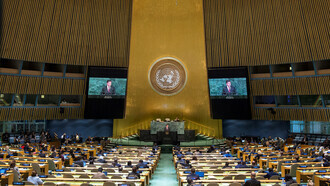 The United Nations was considered obsolete: trade, not aid. For three decades, from Reagan (1981) to the great financial crisis of 2008, the motto was: compete, become rich, at national and individual level. Politics become a mere administrative activity, devoid of long-term vision. The arrival of Internet changed society from an interactive and connected thread of relations based on platforms to share, into a net of parallel virtual worlds in which to seek refuge and avoid public action. The media followed by downgrading the complexity of information, concentrating on events and ignoring processes. TV basically passed into the field of entertainment with programmes that were shaping popular culture, like Big Brother, or the L'Isola dei Famosi (Island of the Famous). Greed was considered good for society and praised by Hollywood. We were all living in a financial bubble that burst in 2008. It was then clear that politics no longer controlled finance, but vice versa. According Bloomberg, in order to bail out the banking system, the United States had to spend 12.8 trillion dollars, Europe spent 5 trillion dollars, 1.6 trillion just to stabilise the euro. China spent 156 billion, and Japan over 110 billion. Nobody knows for sure how much it cost the world to save its banking system, which was (and is), without any control or regulatory body. If the amount paid to bail out the banks had been distributed to the 7.5 billion people of the world, they would each have received 2,571 dollars. Enough to start a frenzy of acquisitions, especially in the South of the world, with an enormous leap in production. It would have practically solved all the world’s social problems indicated as the Millennium Goals by the United Nations in an agreement subscribed to by all countries. But, by then, the banks were more important than people... and for their illicit activities, the ungrateful banks have paid in fines totalling over 800 billion dollars since their bailout. Let us remember that greed was already being praised in Hollywood in 1987 by Gordon Gekko in the famous film Wall Street. Gekko famously says: “Greed, for lack of a better word, is good”. It is no coincidence that at the time of the financial crisis of 2008, Australian Prime Minister Kevin Rudd, said: ”It is perhaps time to admit that we did not learn the full lesson of the greed-is-good ideology.” And the following year, in a speech to the Italian Senate, Cardinal Tarcisio Bertone said: “We have gone from free market to free greed.” And many manifestations of global civil society, like the World Social Forum, have been denouncing the submission of politics to finance, and how greed has become a value. But after the thirty years of greed-is good came the major financial crisis of 2008, due to the irresponsibility of the financial system. That crisis brought an additional negative social impact which was fear: fear of unemployment, fear for the future, fear of terrorism. It became clear that the social elevator that had worked since the end of the Second World War had stopped, with millions of young people from all over the world stuck in it. The American dream itself was in crisis. And a new decade came, one of fear. As usual in cases of fear, a new narrative emerges. After the thirty years of greed, we have now a decade of fear. Neoliberalism, TINA, have lost any credibility. All political parties have betrayed the hopes of their voters. The people have been left out by the elites, by those in the system. So, since 2008, nationalist populist parties that claimed to defend the people flourished all over Europe, where before the crisis they had been practically non-existent (except for Le Pen in France). They continue to flourish. In the last Dutch elections, a new populist party, The Forum for Democracy, won 16 seats in the Senate. Its leader, Thierry Baudet, has discarded the bewitched invention of climate change, idolatry of the sustainable, indoctrination of the left. This is a position common to all populist parties. Their success has been to direct the fear against the different: different religions, different customs, different cultures … in other words, immigrants. Xenophobia has joined nationalism and populism. Every year there has been a decline in real revenue, in dignified jobs. Traditional political parties have lost credibility and electorates have switched to new politicians, not part of the elite, who speak on behalf of the people and look to the glorious past as the basis for the future, ignoring any technological development. The social divide, taken as the basis by the new political culture, went into full destructive speed: in just ten years, 28 people concentrated in their hands the same wealth as 2.3 billion people. This is money taken away from the general economy; it means that for every billionaire there are thousands of impoverished people. In just the last year, the 42.2 million people in the world with more than one million dollars in financial assets, grew by 2.3 million This is why Pope Francis says that behind every large property there is a social mortgage. Fear and greed have changed our society. We are in the middle of a transition, to where nobody knows. What is clear is that the present system is no longer functional and requires very serious corrections. The tide of nationalism, populism and xenophobia is taking us backwards to miseries that we had forgotten, instead of forwards. Electoral campaigns are not based on programmes but on discrediting opponents. When Canadian Prime Minister Justin Trudeau, disagreed with Trump, the latter’s Trade Secretary said that there must be a special place in hell for the Canadian PM. TV debates have become a school of incivility. The question is: are we entering a new era based on incivility? For the first time in the history of the British parliament, the various opponents are unable to find a way out from a referendum based on facts that where all lies. 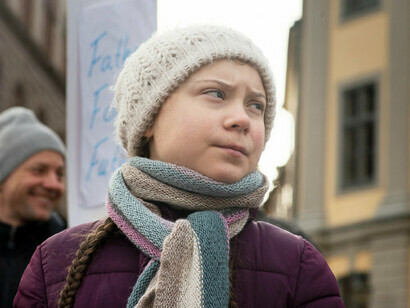 The reaction to Greta Thunberg and her mobilisation is a good example of “evil think”. Instead of raising sympathy and support, this young girl is being submitted to this new culture of “evil think”. And yet she is campaigning for survival of the planet, the only one we have, and where we must all live together, regardless of our myths, religions, parties and nationalities. 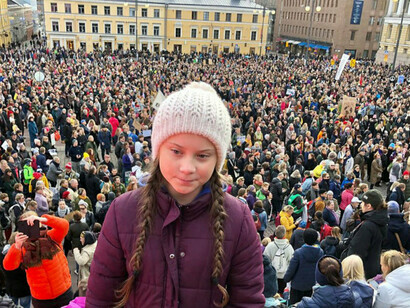 She says: do not ask my generation to solve the problem of climate change, because when we have grown up, it will be already too late. When she reaches the age of 50, there will be 10 billion people, basically all living in towns. But in just ten years, when she will be 26, humankind will need 50 percent more energy and food, and 30 percent more water, an element which is already scarce in a great part of the world, and which is a source of income for private companies. No wonder she is trying to stimulate action! “Save the world NOW” is a message that has been able to mobilise students from all over the world. In the era of “evil think”, instead of supporting her, there are those looking at what she eats, what her dogs eat, and what is behind her and manipulating her. In other words, we are in an era in which we are not able to think positively: an era shaped by greed and fear, and with what today’s culture has given us: evil thinking. It is a safe bet that if Greta had sold sportswear, she would have been accepted as a normal phenomenon, and nobody would look at whether she was eating bananas or apples. This is a good index of how we have lost the ability to dream and go forward.